This is a fantastic opportunity to purchase an Edwardian oak box settle -- a classic item of English furniture. 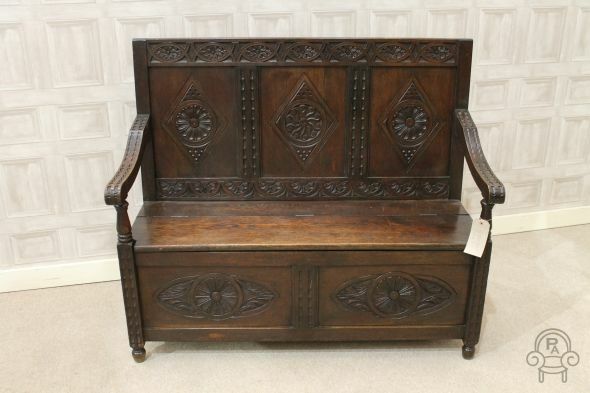 This circa 1910 Jacobean revival solid oak settle features large outswept arms and a lift up seat that gives a large amount of storage space for shoes, bags, boots, etc. The settle also has elegant carving to both the front and rear panels, an ideal item for any period home. This Edwardian oak box settle is in excellent condition for its age.